ICC Cricket World Cup 2019 is scheduled to begin from May 30 in England and Wales. Last time the Cricket World Cup 2015 took place in Australia and New Zealand. 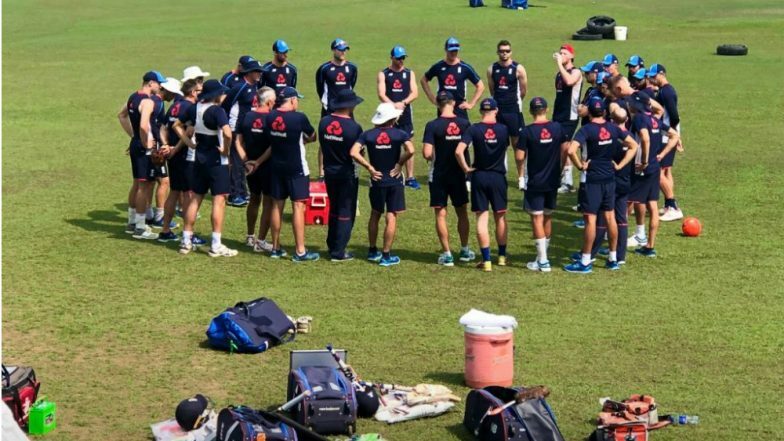 Ahead of World Cup 2019, England Cricket shares their provisional 15-man squad for ICC Men’s Cricket World Cup 2019. England all-rounder Jofra Archer inspite of being selected for upcoming ODI series against Pakistan and Ireland does not get added in the preliminary squad for ICC World Cup 2019. ICC Cricket World Cup 2019 Schedule in PDF: Ticket Prices, Dates, Venue Details & Timetable Available for Download Online. Eoin Morgan will continue to lead the England side in upcoming World Cup 2019. Jos Butler will be the wicket-keeper for England ODI side in ICC World Cup 2019. The preliminary World Cup squad for English team is unchanged from the winter series against West Indies. Bangladesh Team for ICC World Cup 2019: Bangladesh Cricket Announces 15-Man Squad, Shakib Al Hasan Makes a Return, Mashrafe Mortaza to Lead the Side. England Cricket has also announced squad for the upcoming ODI series against Ireland and Pakistan. England has included Barbados born Cricketer Jofra Archer in the list for one day series against Ireland and Pakistan. Archer plays for Sussex is called up to the ODI squad for the first time. He is joined in the squad alongside his Sussex teammate Chris Jordan. England will play their only ODI against Ireland on May 3, 2019, whereas they will play 1 T20I and 5 ODI against Pakistan which will start from May 5, 2019. Click here for England Team schedule for the series against Pakistan. England will play their first World Cup 2019 match against South Africa on May 30, 2019. The final of ICC World Cup 2019 will be played on July 14 at Lord's.